Manufacturer of a wide range of products which include fep heat shrink sleeve coated roller, teflon coated rolls, aluminium roller, cooling drum for textile industry, cork industrial rollers and guide roller. Shrink Ratio 1.31/1.61 and 1.251. Our FEP heat shrink sleeve coated roller which mainly use in paper and textile industries . 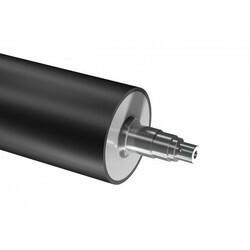 The FEP and PFA Sleeves is as a surface covering for rollers in a wide diversity of industries. Straight rollers, bowed rollers, lamination rollers, spreader rollers, nip rollers – all can reap the benefits from the ultimate non-stick surface. Rollers of virtually any substrate can be covered, including metal, composite and rubber . 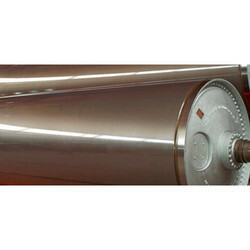 FEP sleeves Coated Roller are most commonly used. Having a temperature resistance of 200 deg C, FEP is able to provide the ultimate easy clean surface to industries. Teflon Coated Roller to avoid sticking of materials on the surface. This type of spray coated rolls having limited life as the roll touches any hard surface the Teflon coating get removed. 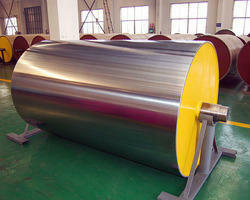 Upper Teflon Roller is supplied for rubber or other type of Rolls for non sticking applications. Our optimum quality Teflon Coated Roller that is widely in demand because of its vast industrial application. 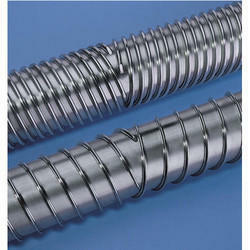 We have grown as the leading Manufacturer, Exporter & Supplier of Teflon Coated Roller. Teflon Coated Rollers are produced under the expert guidance of our experienced engineers, using optimum quality components. 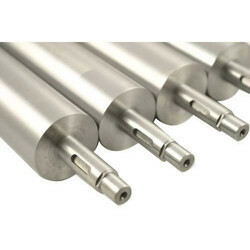 We are established in the industry for supplying an extensive range of Aluminium Roller. The offered roller is well-manufactured with the superior quality aluminum and cutting edge technology. The roller provided by us, is broadly used in various constructions, engineering and other related industries for specific purposes. Our offered roller is available in the market at industry leading prices. Anar Rub Tech Pvt Ltd manufacturing To set a market benchmark, we are solely engaged in the manufacturing, exporting and supplying qualitative range of Cooling Drum For Textile Industry. Our provided drums are strictly tested under the direction of quality experts against set quality standards in order to meet the varied requirements of esteemed patents. The provided drum is the perfect answer for wide range of applications at textile industries and paper industries. The drum that we are offering is provides safe to use, less maintenance and reliable functioning. As we are one of the well known industries, we are now manufacturing a wide range of Cork Rollers to our clients. Our products are made up of premium quality film that makes the product durable and strong. These products consist of better abrasion resistant and perfect aging resistant finish that makes them reliable and provides long lasting service. Our products are available at customized specific application. Our industry is involved in exporting and manufacturing a quality range of Support Rollers to our clients all across the world. Made up of premium grade raw material these wheels are very stylish and highly durable in nature. These are exclusively designed and are extremely strong and sturdy as well. Our products are useful in different applications like rollers, conveyor and elevators. These are available at comprehensive rates as per the demand of our clients. Anar heat shrink roll covers are perfectly suited to protect a wide variety of rollers routinely used across many industrial categories. 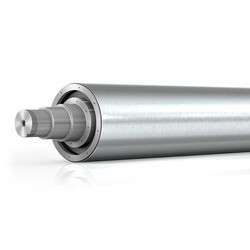 Just about anywhere you can envision the application of a roller – from the smallest printer to the largest textile mill – our roll covers can improve processing and efficiency. Rolls protected with Anar heat shrink have little to no accumulation of sticky residues from repetitive high-speed production runs and thus minimizes line stoppages for cleaning. 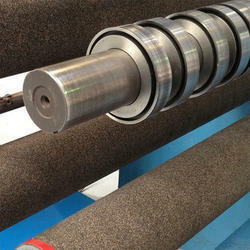 Roll covers are also an excellent option for reconditioning old, used, and worn rollers instead of purchasing new ones. Our heat shrinkable roll covers can be used in hot or cold applications and exhibit excellent chemical resistance to almost all commonly encountered solvents. 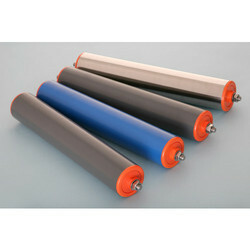 These roll covers are also resistant to abrasion and provide an excellent moisture barrier to protect your rollers etc. Our company is one of the exclusive companies that manufacture and export a quality range of Rollers for Steel Industry all over the world. Anar Rub Tech Pvt Ltd engaged in the manufacturing of a wide range of Aluminum Anodised roller with best qualtiy at very affordable price. Above price may vary as per customer requirement related to OD/ID. And length and also depends on market . Anar Rub Tech Pvt Ltd the leading manufacturer, supplier and exporter of best quality stainless steel Cladded Rollers (ss cladding roller). Our product is used in Textile,Plastic,Paper industry machine at affordable price in India. S.S 316, 304 rollers as per customer specification. Above price may vary as per customer requirement related to OD/ID etc. Anar Rub Tech Pvt Ltd indulged in manufacturing, exporting and supplying of a variety of SS Guide Rollers to our clients. 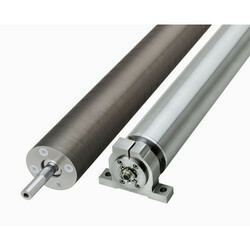 The provided guide roller is available in different size from which our patrons can choose as per their requirements. Above price may vary as per customer requirement related to OD/ID and the length depends on customer needs . 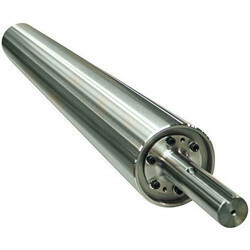 Anar Rub Tech Pvt Ltd manufacturing, exporting and supplying a wide range of SS Scroll Roller. The offered roll is designed at our ultra-modern manufacturing unit using the superb quality material and progressive technology in conformance with defined quality standards. We are the manufacturer & supplier best quality of Steel roller with super finish quality at very reasonable price . Our Chromate Roller are widely use in metallurgical galvanizing line, annealing line, roller body usually use quenching processing, hard chromate, and roughness according to customers’ requirement.